Wasps | Pest Control Omaha - Exterminator | Omaha Pest Control, Inc.
Omaha Pest Control has many years of experience controlling these unwanted stinging pests. There are many stinging insects, 4,000 kinds of wasps in the United States and 30,000 possible species in the world; many of which affect property owners in Omaha, Nebraska and its neighboring cities. Call Omaha Pest Control today at (402) 250-0425 to remove that threat. Most wasps live between 3-12 months but can cause serious problems. Some wasps can cause people allergic reactions with serious pain and consequences, almost 1/2 million people go to the emergency rooms each year. Below are an assortment of the common wasps that migrate into Omaha metro neighborhoods and create household problems. Paper Wasps – Paper wasps aren’t as aggressive as Yellow jackets or Hornets but their powerful stings can cause allergic reactions.. They are ¾ of an inch to 1 inch in length. Paper wasps have a distinguishable narrow or “pinched’ waist, their wings fold lengthwise at a 45 degree angle when at rest. They are brown in color with yellow markings on their head, thorax, and abdomen. 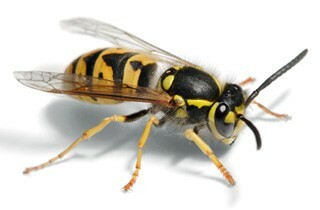 Yellow Jackets – Yellow jackets and hornets are the most common wasps in the Midwest. There are many different species of this insect, but most range in length from 3/8 to 5/8 inch in length with the queens being slightly longer; they are black with yellow markings on their abdomens. Yellow jackets are territorial and when threatened their stings can cause significant health threats. Hornets – Omaha Pest Control controls two primary hornet species, the European hornet and the Bald faced hornets. Larger wasps, they range in size from ¾ to 1 3/8 inch in size and live in trees, walls, and shrubberies. Like the Yellow jackets, they are very territorial and will sting to protect their colony. Most of the stinging insects in Omaha, Nebraska and surrounding cities are primarily nuisance pests. However several of the species are aggressive and have powerful stings. These stings can cause strong allergic reactions that can lead to death in some. If you notice a stinging insect colony on your property it is best to call professional exterminators such as Omaha Pest Control to handle them. Is The Wasp Treatment Safe And How Soon Can You Get Here? How Much Does A Wasp Treatment Cost? 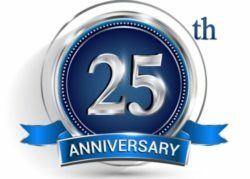 Omaha Pest Control, Inc. has standard pricing for all our pest control services based on the size of the home and materials used. Free Estimates are provided. Call Omaha Pest Control at (402) 250-0425.